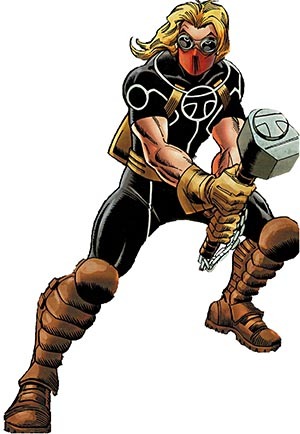 First Appearance: Thor (vol. 1) #392 (June 1988): "Quicksand Kills!" 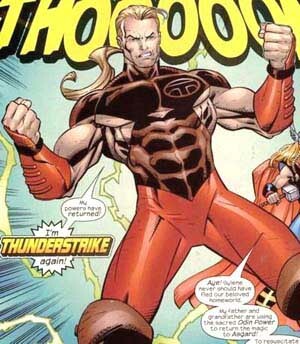 First Appearance (Additional Details): (as Thunderstrike, MC2) What If...? (vol. 2) #105 (Feb. 1998): "Legacy...."
Avengers Next #1 (Jan. 2007): "Does the World Still Need the Avengers?" Avengers Next #2 (Jan. 2007): "The Sound of Thunder!" What If...? (vol. 2) #105 (Feb. 1998): "Legacy...."